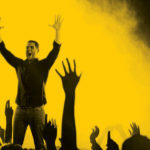 Home » Events » Motivational Speaker in Lebanon and Middle East, Make a Change! Motivation is the precursor to all achievement. Nothing new ever takes place, until people become inspired to make a change. Life without motivation is like a sailboat that has no wind. It simply goes nowhere. A motivational speaker is someone who helps people ignite their inner passions, acquire new skills and become their very best. A good speaker leaves his audience with a larger vision of themselves and the world of possibilities around them. Many speakers have spent years studying the science of achievement and figuring out what motivates human behavior. The goal of a motivator is to help others develop systems and strategies for becoming better at whatever they do. A good speaker shows those his audience how to break through internal barriers and unlock their greatest potential. Anthony Rizk is a Motivational Speaker in Lebanon and Middle East. He is much more than an incredible motivator who taps directly into the hearts and minds of his audience. He is someone who empowers others to create positive personal changes that last for a lifetime. Anthony understands that motivation is a one-time deal. But true, lasting change is a process; one that continues to unfold long after the event is over. 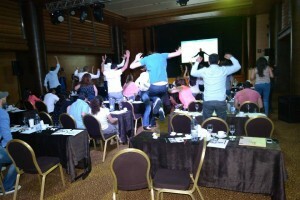 Anthony has uncovered little-known keys to success and personal achievement that enable any individual to operate at a level of peak performance making him a class A motivational speaker in Lebanon and Middle East. He uses humor, anecdote and modern-day research to share his knowledge with anyone interested in achieving greatness. Anthony has achieved international acclaim as a peak performance coach; operating throughout Lebanon, the Middle East and the Gulf. Anthony is committed to the success of your group. He uses stories and examples that connect with the audience on both an intellectual and emotional level. His captivating keynote speeches inspire greatness and help people maximize their power to create personal breakthroughs. Whether you are a community leader, manager, group affiliate or someone who simply wants to enjoy a higher quality of life, Anthony Rizk is your “go-to” guy for results. Click here to find out how you can book Anthony to speak at your next event.